The micromanaging board is a worthy model for smaller nonprofits that stay at a start-up level for a long time. Some nonprofits retain this governance model, with its dependency relationships, long after it is needed. Example: One nonprofit I encountered required its department heads to first discuss major issues with designated board members before reviewing them with the chief executive, e.g., the program manager follows instructions of the board program committee chair. • Management and staffs wait for board signals or instructions before taking action. One CEO reported: “I give the board options and let them choose the course of action.” Implication: I don’t want the responsibility for the action chosen. The board told me to take it. • It’s more difficult to hire talented managers with these types of organizations. Most, from CEO down, are “C” players. They fear “A” and “B” players and then hire more “C” players like themselves. 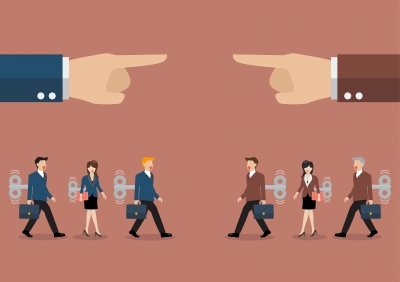 More qualified personnel may reject offers. 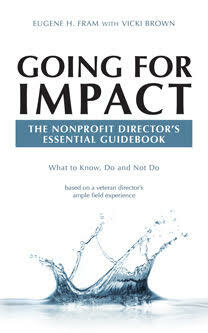 • Impacts and outcomes at best are minimal, but this is not readily recognized by the community or sponsoring organization. As long as income meets expenses each year, the board does not note any long-term red flags. The tendency of nonprofit boards to micromanage organizational operations is still prevalent. In fact, it appears to be part of the nonprofit DNA! With the huge problems confronting nonprofits, it’s high time for a 21stcentury culture change!